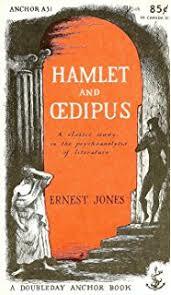 Ernest Jones’s Hamlet and Oedipus illustrated one of Freud’s most cherished theories—at the time a shocker which belied the notion of childhood in innocence in asserting that young boys might want to kill their father and sleep with their mother. In our age of Queer Theory you don’t often hear such classic psychoanalytic paradigms anymore. The work of Ernst Kris and Phyllis Greenacre, two prominent analysts who wrote cogently on art and literature, has been eclipsed by that of thinkers like Gilles Deleuze and Felix Guattari and their Anti-Oedipus: Capitalism and Schizophrenia which is much sexier today. But sometimes old paradigms come in handy. Take for instance a late Shakespeare Play like The Winter’s Tale. Most readers push back when it comes to the precipitous behavior of King Leontes. He’s murderously jealous like Othello, but there’s no Iago with the “motiveless malignity” that Coleridge once described. It’s hard to figure out what is going on. But let’s look at the plot through a classic psychoanalytic lens. Could we say that Leontes is troubled by his homosexual feelings towards Polixenes, a friend since childhood, and that his jealousy results from his projecting them onto Hermione? As you may recall he'd enlisted her into trying to convince Polixenes to stay in Sicily, but is it simply her fervidness that sets him off? That there's no reason for his anguish is the point. It’s neurotic. If Leontes had been in therapy he might have discovered that there was no need to be so afraid of his own wishes. You hear textual and cultural interpretations, but these kinds of psychoanalytic insights, which have fallen by the wayside, can be helpful in understanding complex characters like Hamlet and Leontes, whose behavior, on the surface, seems to defy explanation.